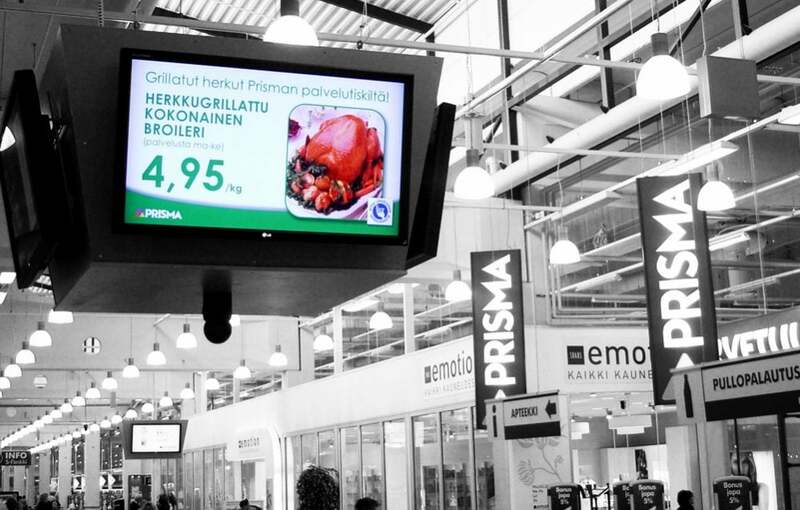 In addition to the Prisma supermarkets, the regional cooperation office of Satakunta uses FirstView displays also in their S-Market and Sale chains, ABC service station shops, Karla car repair stations, Kodin Terra hardware stores, Emotion beauty stores, S-Banks and Sokos department stores. Satakunnan OSK also utilizes the displays in cross-marketing and event marketing. On the busiest days, Prisma sees up to 20 000 customers. Satakunnan Osuuskauppa has made an effort in the amount of displays, great positioning as well as content quality. Large fonts are used alongside limited amount of text, attractive imagery as well as good colors and layouts. – Why wouldn’t we utilize our 17 000 square meter department store space and market our products better? reasoned Janne Nurmi, Director of the Prisma supermarket chain a couple of years ago. – In-store marketing is very important for us. Customers come to Prisma mainly to buy groceries, and the challenge is to sell them everyday consumer goods, too. The solution for more efficient in-store marketing was information displays from FirstView Digital Signage, which can be used to affect the purchase decisions made by the customers inside the store. There are about thirty 32-47-inch displays placed around the building: at the entrances, hallways, corridor intersections, meat, fish and bakery counters, at the end of the shelving units around the store, and also in the personnel break rooms. Janne Nurmi wants to emphasize that when purchasing an information display system, it’s important to fully plan the locations of the displays inside the store. – We thought over the path that the customers take around the store, and when and what kind of information they’re ready to take in. In the food department, the displays are attached high up in “cubes” in order to avoid the unpleasant image of shopping channels. – During Christmas sales, we introduced a display concept where an information display was placed at the end of a shelving unit, advertising products situated next to the screen. Displays work in a wireless way within the same FirstView managing system, and it’s easy to relocate them between shelves when needed. – Thanks to the sound and video features, the attention value of the displays is excellent, and the results are evident in our product sales numbers. We can utilize the same material used in television ads, which enhances our marketing. It’s recommended to use the same advertisement in a shelving unit display only for a week at the most to maintain its attention value. There are information displays located also in personnel break rooms to serve as an internal information channel. – Only a small part of our employees work behind a computer. These information displays have been a significant help in our internal communications. Displays in personnel areas get their material from the human resources and communications departments at the S Group’s regional cooperation office, and from the stores themselves. – The displays located at store entrances hold the highest attention value for customers by far. Thanks to the displays, we have gotten rid of difficult poster stands and poster printing. 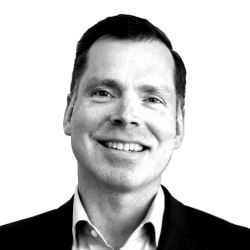 We have saved both money and time, and now we can be sure that the right information is displayed to the customers at the right time, Janne Nurmi explains. – At the same time, the lobby displays deliver interesting information to the customers. People often tend to spend a little more time in the lobby area, so they have the time to browse the screens more carefully there. We also inform the customers about local events with the lobby displays. 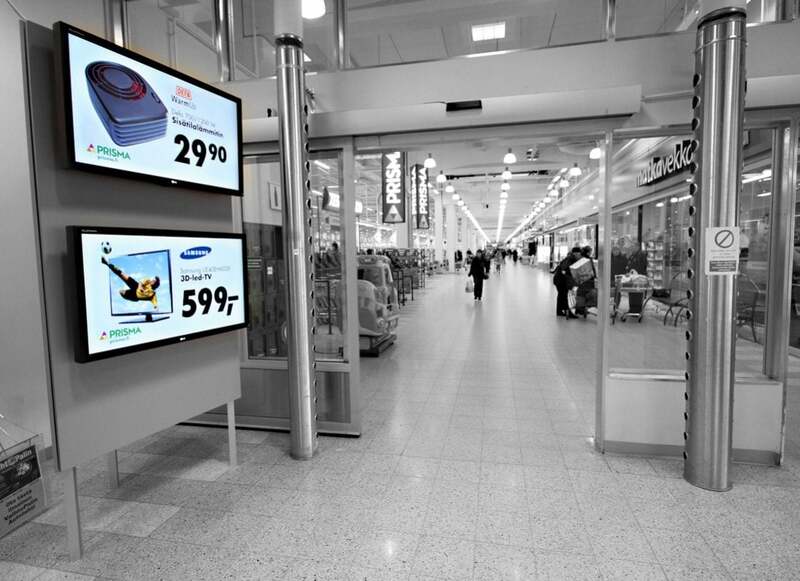 In addition to the Prisma supermarkets, the regional cooperation office of Satakunta uses FirstView displays also in their S-Market and Sale chains, ABC service station shops, Karla car repair stations, Kodin Terra hardware stores, Emotion beauty stores, S-Banks and Sokos department stores. Different lines of business also do mutual marketing and communications within each other’s information channels. With the playlist tool, the display contents are easy to update and time correctly. The presentations can be set to be displayed simultaneously on every screen, or determined individually one screen at a time. – We have one person who takes care of all the content updates in every Prisma store in our area, and the marketing department at Satakunta’s office looks after the other chains’ display contents. We maintain a joint visual appearance by following the S Group’s graphic instructions. In the stores, the displays are meant for quick glancing, so their contents need to be constantly kept varied and interesting. – It’s good to have presentations with little writing and a large font, along with attractive pictures, hints Janne Nurmi. 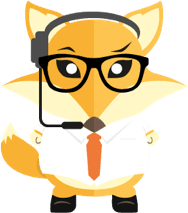 – I believe that with the help of the FirstView system, we could achieve even more in the fields of marketing and communications. 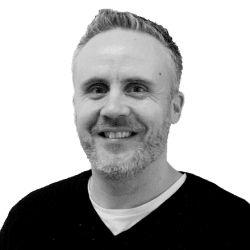 The displays could be linked to other digital communications systems, and we could purchase some larger outdoor displays, as soon as the prices come down a bit, Janne Nurmi envisions.